The Huawei P10 was released sometime back, but here’s a slimmed down version. For those who might not be able to afford the Huawei P10 device, let me introduce to you the Huawei P10 Lite. The Huawei P10 Lite device measures 5.77 by 2.83 by 0.28 inches (146.5 x 72 x 7.2 mm). It is 5.15 oz (146 g) heavy (light might be better in this case). The whole body of the device is made of Metal, and it comes in different colour variants. These Colours include Black, Gold, Blue and White. The device also features a Fingerprint sensor (Touch). Having a 5.2 inches display size, the display resolution is pegged at 1080 x 1920 pixels. Pixel density is 424 ppi. An IPS LCD type is present on the Huawei P10 device. It also has a screen-to-body ratio of 70.76 %. 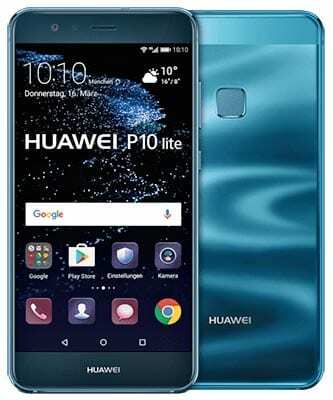 Running on an Octa-core HiSilicon Kirin 658 processor, the Huawei P10 Lite device comes with an Android operating system v7.0. I’m still wondering why it doesn’t come with the latest OS. For your needed storage, the Huawei P10 Lite avails you with a 32 GB storage space. This same can be expanded to the capacity of 256 GB with a micro SD card. A 4 GB RAM takes cares of the smooth running of the phone. The rear camera of this device is pegged at 12 MP. Some features of the camera include Manual focus, Touch to focus, Face Detection, Self-timer, Digital zoom and Geo tagging. The front has a camera quality of 8 MP. The Huawei P10 Lite device has as its powerhouse, a battery capacity of 3000 mAh. Normally, I like to use 3000 mAh as an average battery capacity. So average smartphone users can make do with this device.